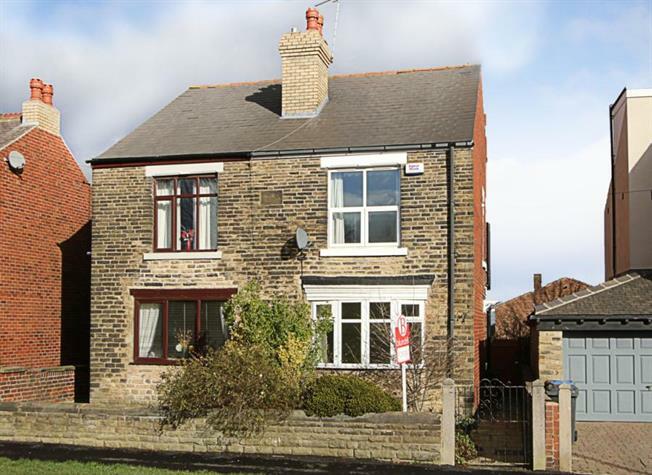 2 Bedroom Semi Detached House For Sale in Sheffield for Guide Price £140,000. Blundells are excited to bring to the market this spacious 2/3 Three Bedroom, stone built semi?detached, period property. Boasting original charm and character throughout and situated in the popular and convenient residential area of Woodhouse, an early viewing is essential to appreciate this stunning home. into a spacious living room with front bay window, original ceiling rose and picture rails and a gorgeous 1906 feature fireplace. A door from the hallway leads into a beautifully presented, further reception room/dining room and access on into a contemporary fitted kitchen comprising of a range of wall and base units with roll top work surfaces. To the first floor is a superb, larger than average Master Bedroom, a further second double bedroom with a door leading into a further study room/bedroom. In the bathroom there is a fantastic, white, three piece family suite with slate flooring and shower over bath. There are 3 dry cellars running length of house and to the rear of the property is a beautifully enclosed garden with a lovely sun-trap patio. No chain on sellers side.